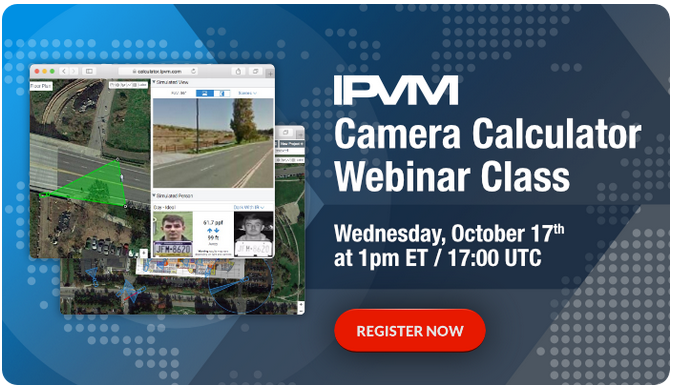 We will teach you how to design video surveillance systems using the IPVM Camera Calculator, cover new features for 2018 and answer your personal questions live throughout the webinar. Is it possible to view the webinar at a later time? We will post the video to this discussion. These webinars are live and can be pretty informal and interactive based on the number of questions we get. I will usually spend the first half of the webinar getting a small design completed and then spend 30-40 minutes answering questions and showing small examples, which can make them more difficult to follow after the fact than a full formal guided presentation. It can be downloaded for offline viewing by hitting the Share button and selecting Download.